Common sources of toxin include animal carcasses, rotting organic material and poorly prepared silage. Treatment is rarely attempted but vaccines are available for disease prevention in cattle. If you see any unusual signs or diseases in livestock, call your private veterinarian, your local Department of Primary Industries and Regional Development (DPIRD) Field Veterinary Officer or the Emergency Animal Disease hotline on 1800 675 888. Botulism in cattle is caused by toxins produced by Clostridium botulinum. Clostridium botulinum is commonly found in soil, water and marine sediments around the world, but it is also a normal inhabitant of the intestinal tract of many healthy horses, cattle and poultry. Other Clostridial bacteria cause diseases in farm animals including blackleg, black disease, swelled head, tetanus and enterotoxaemia. All these bacteria produce long-lived spores, which ensure survival in the environment. Spores germinate in moist, low-oxygen environments such as rotting carcasses or decaying organic material and under favourable conditions proliferate and produce botulinum toxin, leading to intoxication if consumed. The bacteria produce one of several forms of toxin, designated botulinum A to G. Almost all cases of botulism in cattle in Western Australia and in the southern hemisphere in general are due to botulinum types C and D. Type B toxin is more often observed in Europe and northern America. Botulinum toxin is extremely potent and minute doses can be lethal. The toxin interferes with the connections between nerves and muscles, causing paralysis. All species, including humans, can be affected although there is wide variation in sensitivity. Handling affected cattle is not a risk to humans. Nearly all cases in cattle are due to taking in preformed toxin rather than from live bacteria multiplying in the intestinal tract. Bone chewing — in pastoral areas in the north of WA cattle chew on bones and decaying carcasses when deficient in protein and phosphorus. This is usually seen during the dry season and in late autumn and summer. 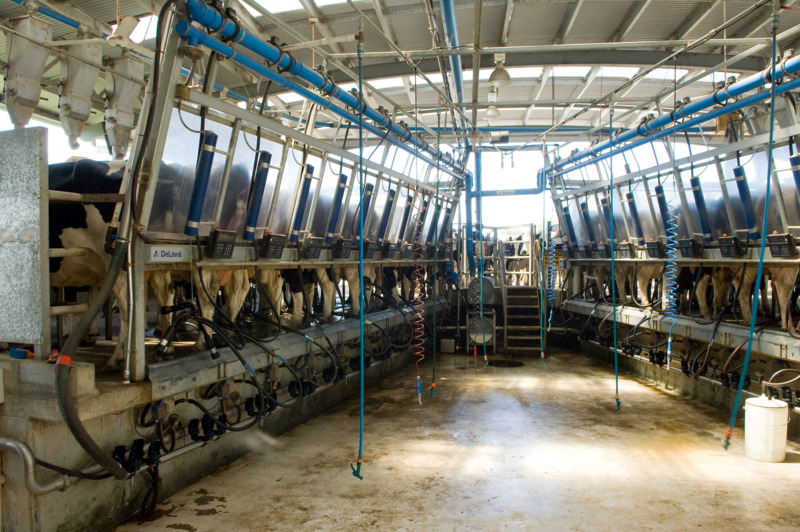 Contaminated feed — contamination of feed rolls by carrion carcasses can result in large outbreaks on dairy farms, feedlots and intensive beef farms in a short time due to ingestions of feed containing the botulism toxin. Spoiled feed — decaying feed may contain botulinum toxin. Clostridium botulinum can also proliferate in vegetable matters such as silage that has not reached adequate acid levels of pH 4.5 or less. 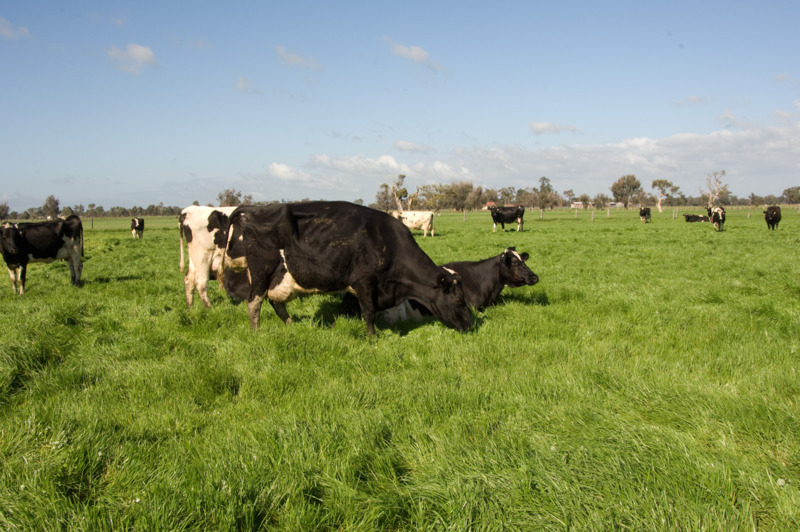 This occurs when the level of soluble sugar in grass is insufficient to produce the acid necessary to preserve the silage. Type B toxin can be associated with spoiled vegetable matter. Toxicoinfectious botulism — this very rare form occurs when the intestine or a wound is infected with proliferating Clostridium botulinum bacteria, which then releases botulinum toxin into the body. 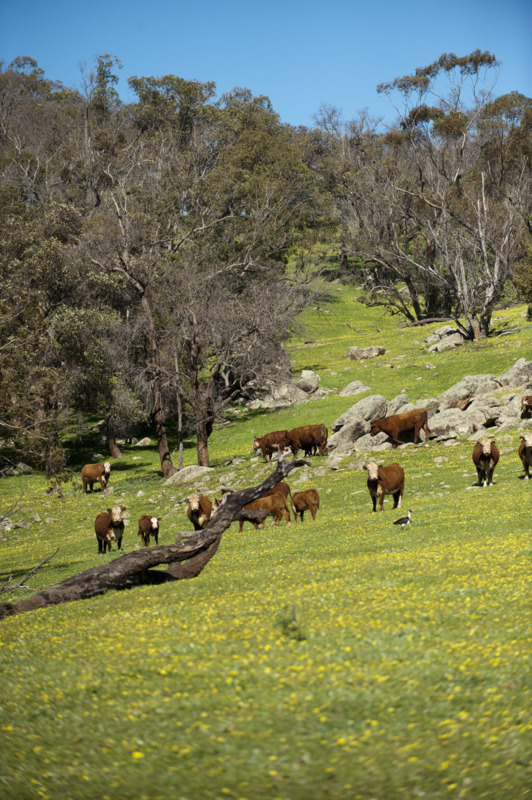 sudden death with a high fatality rate — in unvaccinated extensive pastoral herds, botulism usually shows as unexpected numbers dead or missing at mustering. in a herd outbreak, most deaths will occur within in the first week, but can continue for up to three weeks. 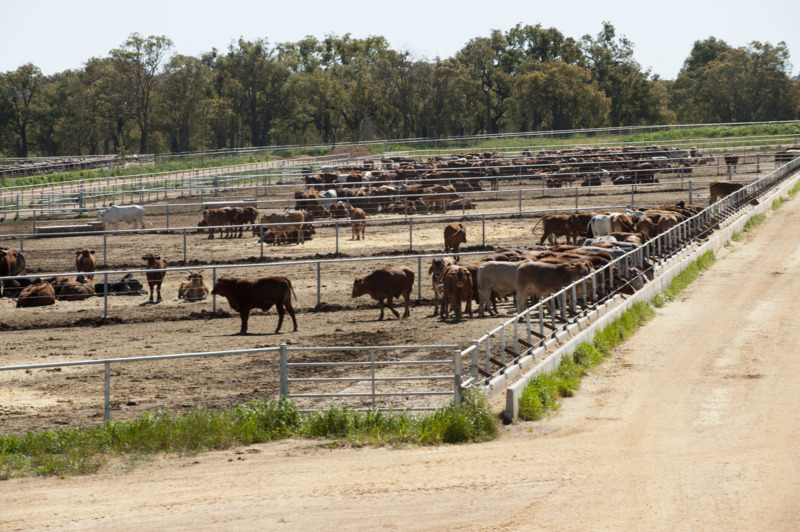 In any case where large numbers of stock are sick or have died, contact a local private veterinarian or your local DPIRD Field Veterinary Officer to arrange an investigation. Botulism is diagnosed on clinical signs, ruling out other causes and detection of the presence of the bacteria Clostridium botulinum, spores and toxin by laboratory testing. Botulism tests currently available to producers for use on their farms have several limitations, including that cattle may die with toxin levels too low to be detected. Botulinum toxin levels in the blood of clinically affected cattle are also usually too low to be detected with current laboratory tests. Antibody testing of surviving, exposed cattle during and after the disease outbreak is of limited value and is mainly used to assess the vaccination status. Detection of the botulism toxin in the suspect material is the most reliable test method. It is important to take samples from any potential source as soon as botulism is suspected. Samples can be frozen if required. rabies — a reportable animal disease in WA.